Sea of Greed by Clive Cussler and Graham Brown | Books, Movies, Reviews. Oh my! Sixteenth in The NUMA Files action-thriller series and revolving around two NUMA special ops agents: Kurt Austin and Joe Zavala. The French don’t come out looking well from the start of this action-oriented tale of treachery and greed that, at least in novels, always backfires on the bad guys. It’s that textual journey to find out whodunnit and why-they-dunnit that I adore, and in this case, the conflict is quite topical, as it pits oil against alternative energies. Cussler/Brown use multiple third person point-of-view, which enables us to experience the thoughts, emotions, and actions of each group of characters. So very handy when you want to impress the reader with how evil the bad guy is! As usual, there is plenty of excitement, action, and tension — the use of those drones is scary as well as that kidnapping, but nicely balanced by Joe and Priya’s rehash of the dive suit. Wouldn’t it be fab if it could really work? 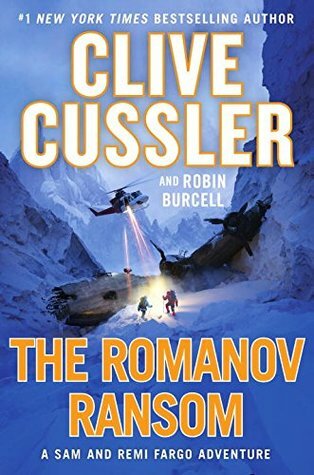 The downside is that I suspect Cussler is only putting his name on these, and I’d’ve thought that a writer with his rep would be given a really good editor. My whine? Too many info dumps that drag at the story flow. It’s a barely contained secret that the world’s most productive oilfields are drying up. Once word gets out, terror will encompass the oil-using world and destroy the economies of countries. So it’s lucky for Alpha Star and the rest of us that NUMA’s Raleigh can lend aid to the crews and tap into the possibilities of why oil production is almost non-existent. Kurt Austin is the head of Special Projects while his partner, Joe Zavala, is its creative genius. Misty Moon Littlefeather is an old girlfriend of Joe’s who happens to repair, salvage, and mine anything electronic. Redfish is her very suspicious father. …NUMA, explores, studies, and preserves the world’s oceans. Rudi Gunn is the assistant director and second-in-command. Paul Trout is their chief geologist who is married to Gamay, a biologist. Hiram Yaeger is the resident computer genius. Priya Kashmir is a newly paralyzed computer genius who had studied at Oxford and MIT and is anxious to get back in the field. The Raleigh is captained by Kevin Brooks in the Gulf of Mexico. The souped-up Gryphon is in the Aegean Sea. Admiral James Sandecker founded NUMA and is now the vice-president of the US. Leonard Hallsman is the Undersecretary of National Resources and Energy Security. Lance Alcott is the head of FEMA. Derrick Reynolds will rep FEMA in the Gulf of Mexico. St Julien Perlmutter is an expert in all things nautical. Fritz is his dachshund. Admiral Natal is with the Israeli Navy and a former professor of Rudi’s. …an R3 Conference in Bermuda for which the Lucid Dream is borrowed. Macklin Hatcher of Firelight Investing is a technology investor who has an assistant, Ronald “Numbers” Ruff. …in the Gulf of Mexico. Rick L. Cox is a tool push. Other crew members include Nash and Haney. …home base for Tessa Franco, a billionaire, who is creative, reckless, and mad. She designed the Monarch and Discus, both brilliant pieces of engineering. Novum Industria is her company. Volke is one of her men. Woodrich, a.k.a., Woods, is a fanatical environmentalist. Brian Yates is the head and lead designer on a development team. Pascal Millard is a genetic engineer. Bricks heads up a black ops team. Alexander Vastoga is aboard the lead helicopter. Arat Buran is in the oil business and controls 70% of the oil produced in the Kazakhstan region. The Consortium controls the West. David Ben-Avi is one of the Israeli scientists. André Cheval, a.k.a., Mother Hen, is the Frenchman in charge of the genetics project. The Minerve is a French submarine. Lukas is the head of its SDECE commando team. The Dakar is an Israeli submarine on which Gideon is the XO. The cover is flaming darkness with an oil rig afire in the dark of night and a white NUMA sub rescuing workers. The minor text is in white: the info blurb at the top, the secondary author’s name, and the series information at the very bottom. The primary author’s name is at the top in an embossed and copper outlined white while the title (at the bottom) reverses the colors with an embossed white outlined copper. The title is both real and metaphor, for it is a Sea of Greed of nature and man. Too bad this didn’t work. I gave up on his books after his original Dirk Pitt series. It started to feel like repetition with knew names. 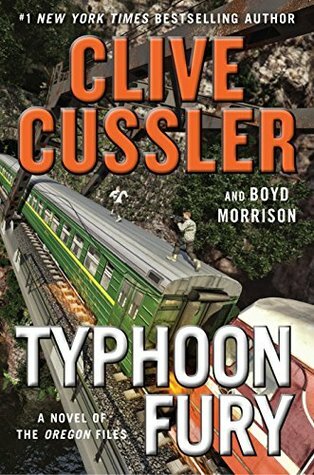 Unfortunately Clive Cussler isn’t the only author has had some disappointing recent books. I too think the author just tacks their name on some books and laughs all the way to the bank. Yeah, I hate it when an author rips off his readers by getting someone else to do the work while he sits back. It’s even worse when his publishing company doesn’t care enough either.